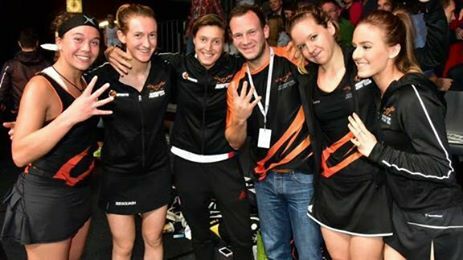 Edgbaston Priory Ladies Are European Champions! 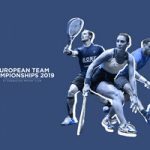 Edgbaston Priory Ladies have succesfully defended their title at the European Club Championhips In Paderborn, beating the best teams on the continent on the way to victory. Priory qualified for the event as defending champions and were drawn in group stages against their German hosts Paderborner, Czech team SC OTEC and the Finish side ESRC. Two comfortable 3-0 victories sandwiched a close fought 2-1 win over the hosts to take them through to the semi finals. 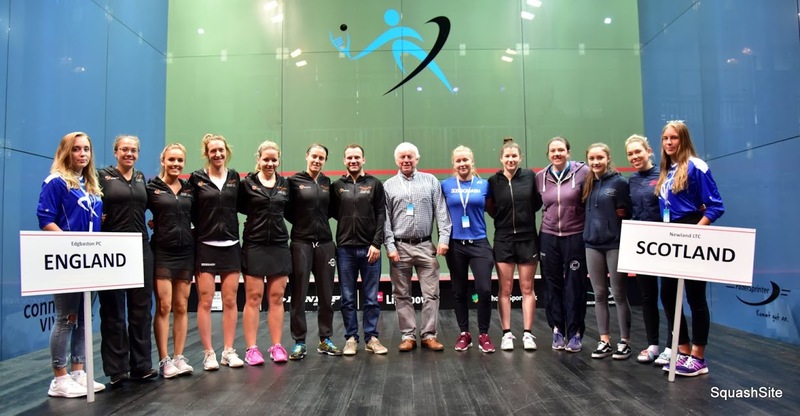 The women’s final was a repeat of the Pool decider between the two, with Edgbaston again winning 2-1, but Paderborn this time came within a point of taking the title. 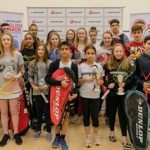 Sina Kandra played superbly to twice take the lead against Julianne Courtice, but the Edgbaston player twice drew level with comfortable game wins. 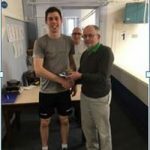 Courtice led the early stages of the decider but Kandra fought back to earn match ball at 10-9. She thought she’d won it when Courtice’s ball came back to the middle of the court, but only a let was awarded and Courtice took full advantage, taking the next three points to give Edgbaston the lead. 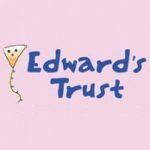 Nour El Tayeb repeated her pool match win over Millie Tomlinson – although Mille played a strong third game in which she had a game ball – to set up a decider. 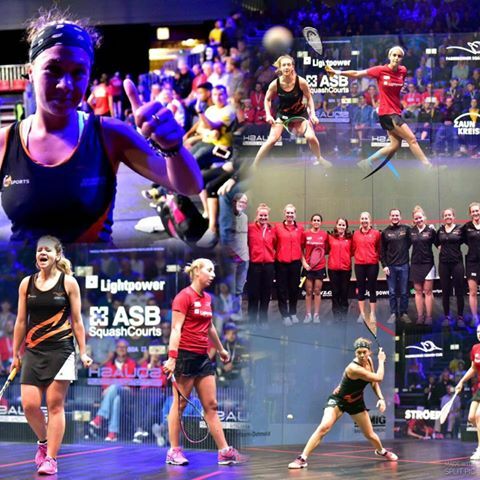 Deon Saffery delivered a second successive title – and a fourth in all – for Edgbaston as she beat Paderborn’s hero of yesterday Franziska Hennes in four games. 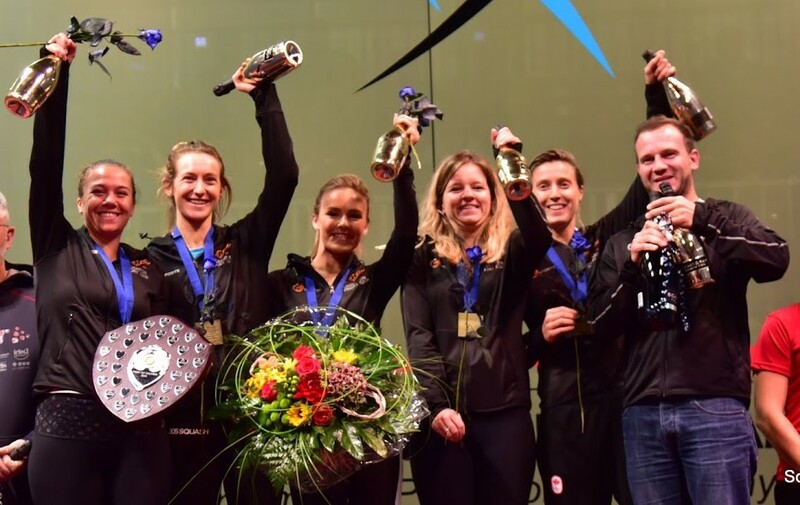 ‘It’s fantastic to bring the title back again, the girls like beating hosts and they did just that in Paderbron. Julianne played a fantastic 5th game to win her match 3-2 and Millie had a very tough opponent but played well. Deon closed out the match with a 3-1 win. Looking forward to defending the title again next year’. – Mike Edwards, Team Manager / Coach.